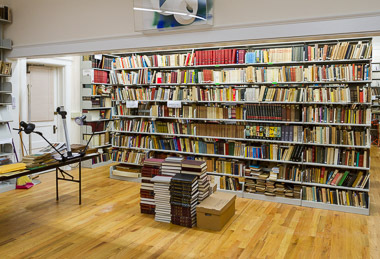 The Joseph and Catherine Marjanczyk Library (Marjanczyk Library) is a part of the Polish Cultural Foundation located at 177 Broadway, Clark, NJ 07066. It is an extremely important resource and venue for the preservation and propagation of the Polish literary and art culture in the United States. Many of the books in our library collection can be classified as either unique or one of few copies left in the world including Poland. Marjanczyk Library contains over 16,000 books and publications for ethnic research or reading in Polish or English languages. All books from Marjanczyk Library are recorded in a common catalog of three Polish-American libraries: Marjanczyk Library of the Polish Cultural Foundation, the library of Józef Piłsudski Institute of America and the library of Polish Institute of Arts and Sciences of America. The catalog of all books available in these libraries is accessible online. We are looking for volunteers willing to help us at the Marjanczyk Library. Please contact us at, tel: 732-382-7197 or using the contact form below. We hope to see you at the library!